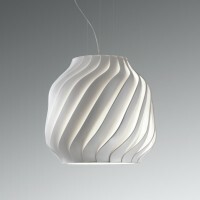 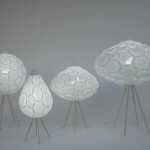 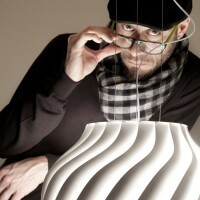 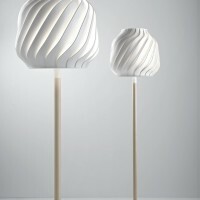 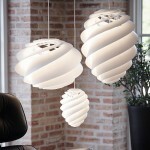 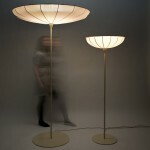 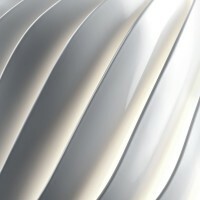 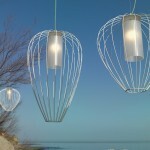 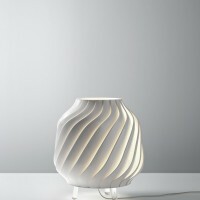 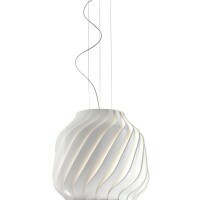 Lagranja Design have designed a collection of lamps called Ray for Fabbian Illuminazione. 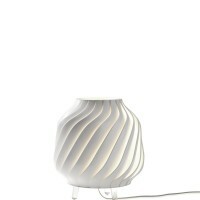 It takes its cue from typically Mediterranean Persian blinds. 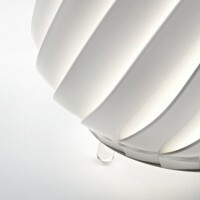 The light which “escapes” between the slats designs the shapes of the lamp. 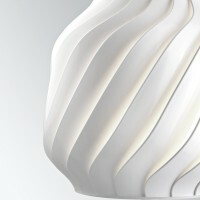 Quality is at the centre of the project. 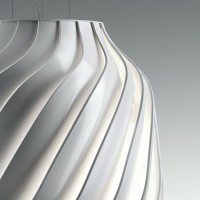 Ray creates a direct light on a table or worktop and an indirect diffused light in the rest of the room. 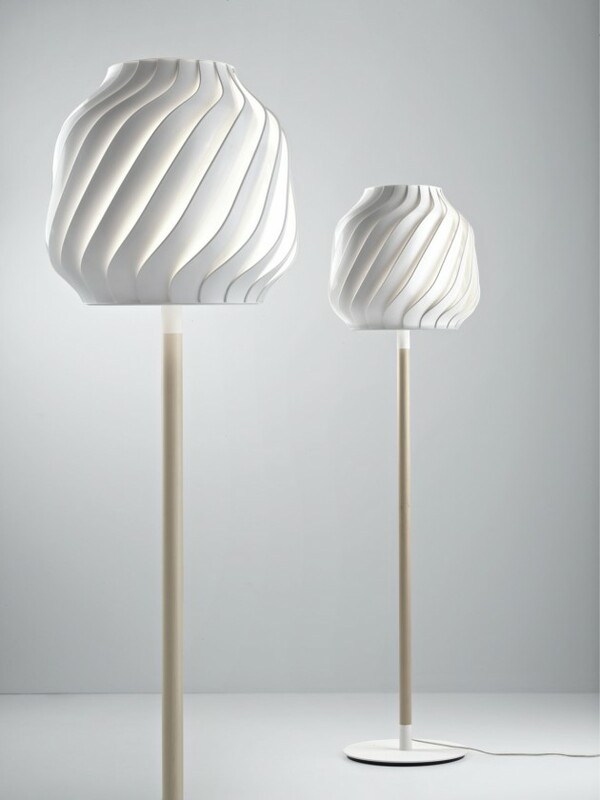 The Ray lamp collection consists of a suspension lamp, a table lamp and a floor lamp, all made of white polycarbonate with powder-coated metal structure and supports in polycarbonate. 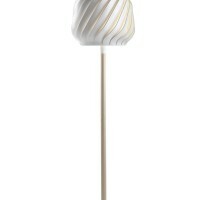 These lamps feature a halogen bulb, the E27 coupling is also compatible with energy-saving bulbs.